Customized shipping rates may seem complicated to set up. This is mostly true if you do not have the right app to help you with the configuration. With the Wholesale Hero app, customizing shipping rates is easier than you expected. It saves you a lot of time and effort, allowing you to choose from different options according to your preference. 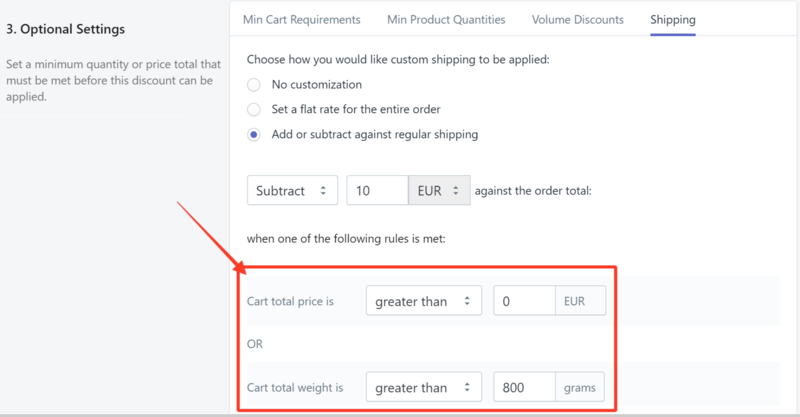 Example 1: FREE SHIPPING FOR WHOLESALE CUSTOMERS WHO SPEND OVER €500. Step1. 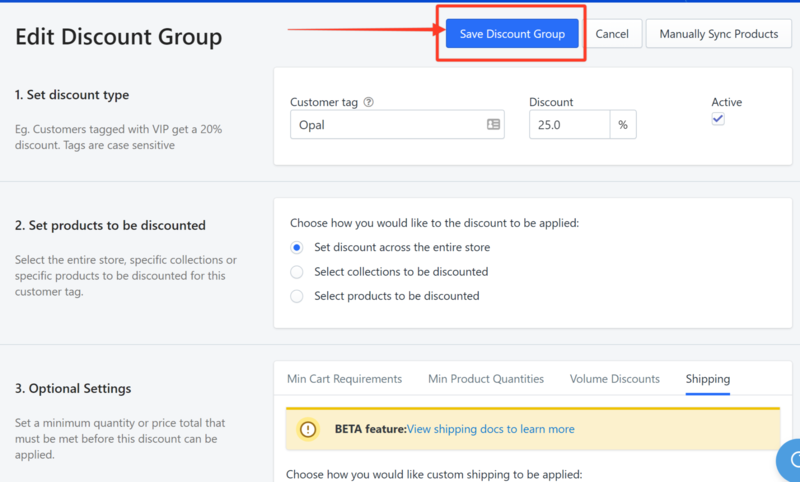 From the dashboard, choose a discount group where you want to set free shipping by clicking its Edit button. In this example, we choose a discount group named Opal. Step2. Scroll down to the Optional Settings section and click Shipping. Step3. Click the radio button for Set a flat rate for the entire order. Step4. Set the flat rate to 0. Step5. Set the Cart total price to greater than 500 EUR. Step6. Click Save Discount Group. A shipping line item labeled "Opal Shipping Rate" will be applied to the order at checkout. Step1. Under Shipping, choose Add or subtract against regular shipping. Step2. Add the regular shipping fee. In this example, 10 EUR is the regular shipping fee. Step3. Set the total cart price to greater than 100 EUR. Step4. Click Save Discount Group. An additional line item labeled "Opal Shipping" will be applied to the order at checkout. Step2. Subtract the regular shipping fee. In this example, 10 EUR is the regular shipping fee. Step3. Set the Cart total price to greater than 0 and the Cart total weight to greater than 800 grams. An additional discount of $10 marked as "Shipping Discount" will be applied to the order at checkout.